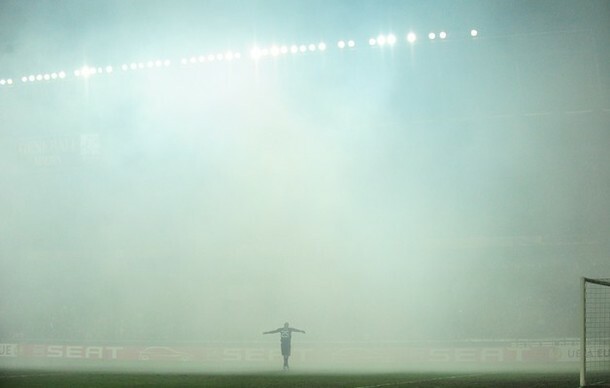 Safe to say that the billows of flare smoke that engulfed the pitch for five minutes during the second-half of Liverpool’s Europa League goalless stalemate with Sparta Prague was one of the highlights of the evening – especially seeing as though nothing…else…happened! Still, as Jamie Carragher said after the game, it’s very much ‘advantage Liverpool’ who, you’d assume, are almost certain to roll the Czechs over in the second leg at Anfield next Thursday. Thats some Close Encounters shizzaz right there!